Nigeria’s Super Eagles have secured a big victory over neighbouring Indomitable Lions of Cameroon. 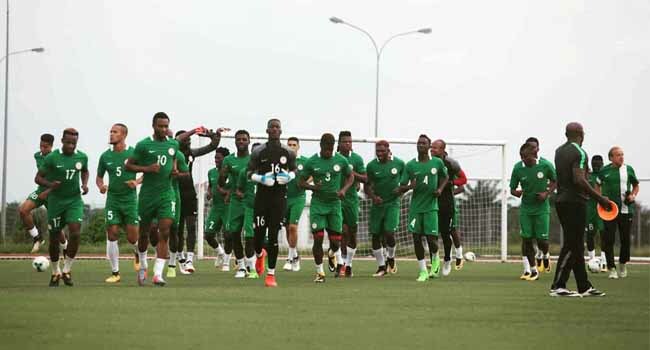 Goals from Odion Ighalo, captain Mikel Obi, Victor Moses and Kelechi Iheanacho, ensured Nigeria remain on course for a return to the World Cup after failing to qualify in 2014. Nigeria now top Group B with nine points from three games; Cameroon has two points from three games, while Zambia and Algeria have a point each from two games. Zambia host Algeria tomorrow, September 2 with both sides looking boost their chances of qualification with victory. Meanwhile, the Super Eagles will travel to Cameroon for the return leg of their clash with the Indomitable Lions.